I changed the recipe a bit by using prunes instead of raisins or citron and by boiling all of the wet ingredients together. 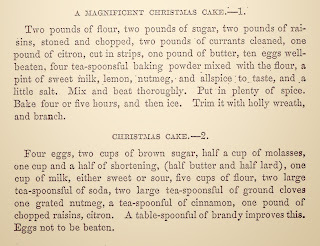 Both of these changes makes fruitcake moister and infuses all of the flavors very well without the need to "feed" the cake with spirits for weeks or months. 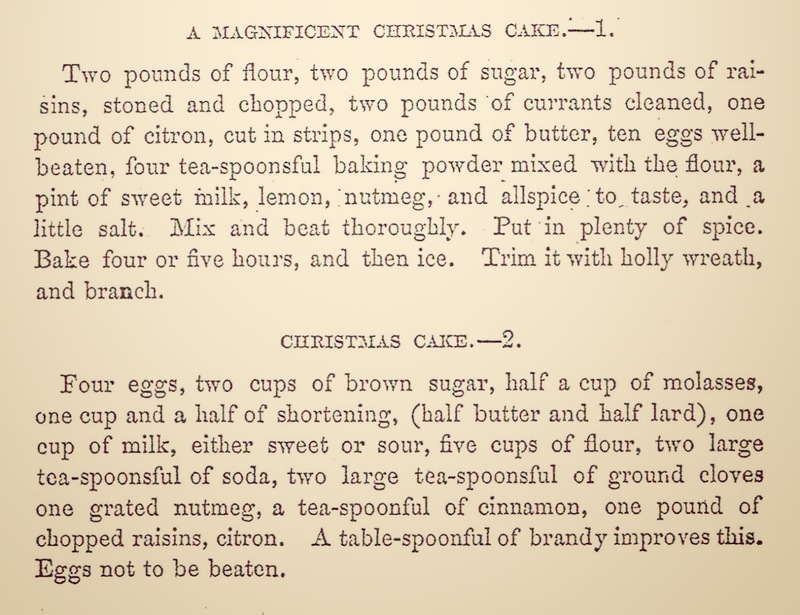 However, you can still choose to add more spirits to the baked cakes to add extra holiday cheer--Enjoy! In a very large saucepan, mix together the brown sugar, molasses, butter, shortening, spices, prunes, and brandy. Set on medium heat and bring to a boil. Reduce heat to low and simmer for 10 minutes and stir frequently. Note: this can burn easily so keep your eyes on it! Remove from heat and allow to cool for about 30 minutes. While the liquid mixture is cooling, heat the oven to 375º. During this time, line a mini muffin pan (I use the Calphalon brand where each muffin well holds about 1.5 ounces) with a regular size foil muffin liner. 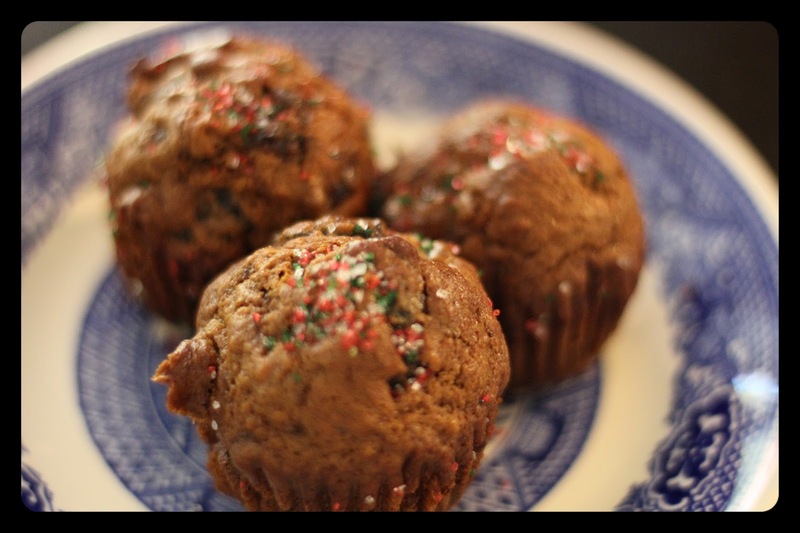 You want use a larger liner because you want the liner to reach higher than the tops of the muffin well and make sure to press the liners against the sides of the muffin wells. Use the saucepan in which you cooked the liquid ingredients and use it as a mixing to bowl to add all of the remaining ingredients. First, add the milk and stir in by hand. Then, stir in the eggs. In a separate bowl, whisk together the flour and baking soda. Add this to the liquid mixture. Stir by hand until all of the flour is absorbed by the liquid mixture. Fill each muffin liner about 2/3 of the way up the liner. Bake for about 15 minutes. Immediately after taking the cakes out of the oven, sprinkle them with either confectioner's sugar or holiday sanding sugars or sprinkles. You can also choose to pour more apple brandy over the tops of the cakes while still hot, but do this before you decorate with the various sugars.